Thanks to the lovely people at Media Create, we have our weekly dose of Japanese game charts to enjoy. In recent times it's been less about what's number one, but by how much it's dominating, and that applies to software and hardware. In the software stakes, Pokémon X & Y maintains its top placing with a further 229,402 sales, though Monster Hunter 4 is pushed down to fourth by two new releases on the PS3. 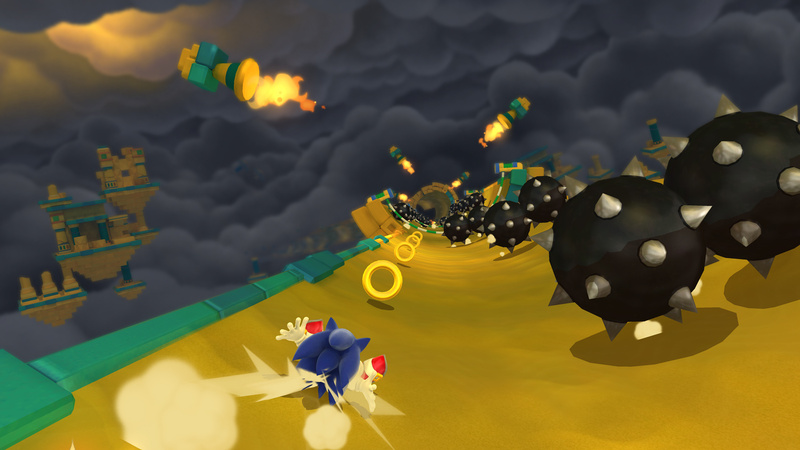 Some older 3DS releases are dropping away, while Sonic Lost World has endured a rather poor début, with the 3DS version sneaking into 18th place with a meagre 4,919 sales, and the Wii U version not placing in the top 20. Naturally download sales aren't included, but it's still a major disappointment for SEGA — the results are below, with lifetime sales in parenthesis. Hardware sales continue with similar trends and results, as the 3DS models continue to gradually drop back to pre-Pokémon levels, which still means that they're out-selling the other major systems on the market. The Wii U drops further as Sonic Lost World has made no discernible impact; last week's sales are in parenthesis. It seems that the fate of the Wii U in Japan for the remainder of 2013 will fall to established first-party brands such as Mario, Wii Sports and Wii Fit. We suspect the 3DS will be just fine. Nintendo should just call Wii U the 3DS LLLLLLL in Japan and it's problem solved. Man, I feel for Sega. When was the last time Sonic did well in Japan? He was always irrelevant there. He was made by a Japanese company, but he's definitely a Western franchise. That tagline says it all. Home console gaming is dying in Japan. I doubt the Playstation 4 will fare much better, once it lands there in 2014. (A Japanese company skipping Japan on the launch of it's next big thing. I'd say the writing is on the wall.) And the Xbox One will be oblivious once more to the Japanese folks. Sad, but true. Blazblue: Chrono Phantasma debuted at a respectable number. Looking forward to when that comes out in the states. Absolutely pathetic numbers for Wii U. Spin it any way you'd like, the numbers don't lie. NOT a good sign for the console. "Home console gaming is dying in Japan"
Are the PS3 titles in this chart invisible to you? @Nintenjoe64 - Best comment of the day so far. Has Japan ever received a Wii U price drop like the rest of the planet? Might be time. Or are the Japanese still addicted to Mario so Nintendo has all its hopes pinned on that 1 game? I really don't think console gaming is going to be big for a little while in Japan, PS4 won't fare much better than Wii U. Red alert for Wii U in Japan! My god... what is happening? I suspect that even with Super Mario 3D World, (even if we are 100% it would be an awesome, awesome game) Wii U would not sell enough, and the worst part is that SM3DW is literally the last big game of 2013 for Wii U and we have to wait all the way till february when DKC: TF releases and then Mario Kart 8 wich are the two most near games on the 2014 release schedule. The console would recover for sure all over the world... but in Japan? @Nintenjoe64 3DS player for the Wii U would also probably work as well. @Jazzer94 If 3DS could be played on a TV by itself I don't think we'd even need a Wii U.
Lol baseball games tearing up the charts! Oh, man. Poor Sega... at least Wii U will have its moment soon enough. @KrazyBean The genesis/master system games sold well, but the last time a Sonic game had a well-received game debut in Japan was back in the days of the Dreamcast, with Sonic Adventure. 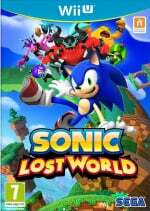 But really, with the mediocre reviews for Lost World (and recent titles as a whole), are people that shocked that the game didn't pull him out of the ditch he was in? And the game was actually reviewed a little better by the Japanese critics. His reputation is fairly bad though. Oh yeah, and if you want to count the Olympic games as Sonic games, those do fairly well in Japan. @Tsuchinoko Sonic Lost World is a VERY divisive game. You either love the new gameplay style or hate it and it clearly shows in the reviews. It can the best 3D Sonic game ever made to some and the worst Sonic game since Sonic 06 to others. What's the point in being pessimistic? Nintendo either turns it around or they don't. I can't imagine they'll just let it fail. Not need a Wii U? Let's be real. 3DS is a piece of crappy hardware. The only thing it has going for it are games...majority of which are Nintendo. Wii U can get games. I'd take an Nintendo HD home console over being able to connect a handheld to a television any day. Consoles don't traditionally sell well in Japan. Wii U's numbers in the territory are hardly surprising considering what they are elsewhere. Poor Sonic, I hope its next game is as great as sonic generation. The Wii U got one of its worst starts on the UK, and one of its best on Japan. And now, the Wii U is struggling in Japan and getting more popular on US and the UK. Nintendo right now are proving what was written on the wall in the Wii/NDS era. If they were to bunk in with Sony or Microsoft similar to how Neo Geo attempted with SEGA, and become the handheld division of the other two companies, Nintendo will live past these times. If they continue to rely on the Wii U 'possibly' recovering, they'll not last till 2015. @LUIGITORNADO That's completely your opinion. I love my 3DS, and am saving up for the LL. Please don't assume your opinion speaks for everyone. @Titanics Honestly, I don't agree with your opinion, but what I can agree with is that Sonic's popularity has long since faded, especially in Japan. He was popular in the master system/genesis era. @ValentineMeikin Back before the Wii U came out, I was telling everyone that, even just looking at the press materials, that it would fail badly. To me it looked like a system that was geared for westerners. Many younger Japanese just starting out that play games don't have huge living rooms, or the need for multiple accessories to play their games. The fact that one can watch TV and play a game, or move it to family style and play together seemed like a cute idea, but with the current Japanese lifestyle it just totally didn't fit. Many Japanese people get married older, and up until that time live in smaller apartments, usually alone (like me), or they live with their usually much older parents. There's no way the style of this hardware would fit. I work with children a lot, and I've never heard of them sitting at home playing their games on a huge tv, or with their parents. Its also one of the reasons that the XBOX and the Kinect was completely ignored here, it just doesn't fit. Add all of that to the fact that many Japanese have long commutes to work, and it all equals to them choosing portable systems instead of big bulky consoles that take up space. I think what keeps the PS3 in the charts is the fact that it is a simpler sell. No gimmicks (other than the Move, but that seems like it isn't totally necessary), plus for many Japanese who want to play big giant RPGs or even western style games like GTA, its a good fit. I think Nintendo should have foreseen this, since it has all been part of a growing trend for years. I mean, to me its totally fine if they want to try to make a home console that fits the western market if its obvious that most Japanese are going to go with the portable option, and that has been proven with the 3DS since its the biggest console this generation, but then that makes the Wii U look like even more of a gamble. I don't think Nintendo needs to do anything with the other companies, but what they do need to do it to put more of their efforts to the console that they know will succeed. Just look at the numbers. The 3DS (in both its forms, or even separate), always outsells the Vita and PSP. @KalosN "And now, the Wii U is struggling in Japan and getting more popular on US and the UK." There's nothing amazing about the 3DS' hardware. It's not an opinion. It's a fact when you compare it to other mobile devices. Games are what sold the 3DS. Not its gimmicks. Correct me if i'm wrong, but I thought Japan would get either a price cut for the Wii U or new attractive bundles, the ones with Wii Party U / Wii Fit U on the 30th or 31st of October. I hope the sales will pick up a bit then. @LUIGITORNADO "I'd take an Nintendo HD home console over being able to connect a handheld to a television any day." Me too, but face it - Nintendo just don't have the resources to compete in the home console market anymore. Without decent support from third parties, how can they possibly sustain the system for years to come? The notable releases are way too few and far between. @Doma They can invest in themselves and turn that around. @Wolf_Link Are you insane? The "games" are nowhere near hear. A general public wowing Mario Game? Not here. MarioKart? Not here. Epic looking new Zelda game? Not here. Smash Brothers? Not here. F-Zero? Not here. Donkey Kong? Not here. Metroid? Not here.that is a huge list of huge first party games NOT here and it is those titles that have always caught the eye of potential adopters. Not only that, the sheer number of multi format titles that are big sellers are missing. GTA, Battlefield, Madden/FIFA/NHL all games that the Wii U really could have done with as the new console, and currently most powerful console. Wii U NEEDS games like you wouldn't believe and it needs them quick. I really don't see why Nintendo keep sticking to their "Disney-esque" roster of franchise characters. They continually miss out on major selling 3rd party games not aimed to include children and these games sell millions annually without fail. Nintendo is one of, could be argued, the best developers in the world. They could make an open world game to beat GTA, or an FPS to rival Battlefield. Why the hell don't they? They've shown flashes in the best with the projects they've steered like goldeneye, metal gear solid and eternal darkness that they can execute these types of games. If they took the reigns of a project or two like this, what impact could an exclusive sports series, battlefield and even more an exclusive GTA style game, make to a console? I find it so strange that the Wii U has so failed to catch on in Japan. It seems such a "Japanese" console, but what are ya gonna do? Here I thought that Sonic would at LEAST be responsible for a slight bump in Wii U sales. Not even the world's mightiest hedghog could do a damned thing.